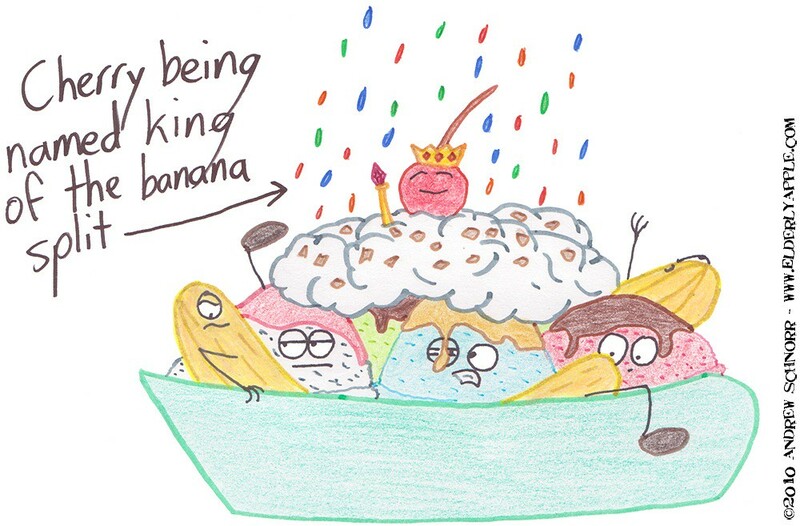 Also, of the many things in this idea that make me smile, I think my favorite it the indignant-faced banana. crap, that's making me hungry! and MY favorite thing is the caramel in the blue(?) ice cream's eye.